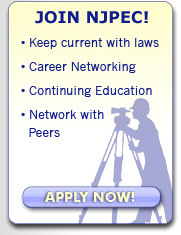 New Jersey Professional Engineers in Construction - College Student Scholarships - Join the NJPEC! 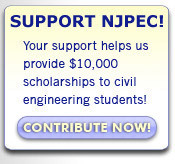 Help NJ PEC advance the public welfare, promote the professional, social and economic interest of engineer members, and encourage and develop a professional attitude among all engineers. Join us! Two Ways to Pay - By Check, or by Credit Card using secure online processing. Please complete the fields below and click the "Submit" button. After you click "Submit," you will be directed to a secure website to pay for your order by credit card. J Fletcher Creamer & Son, Inc.